Sri Ping Resort - Hang Dong, Chiang Mai, Thailand - Great discounted rates! 7.7 out of 10 based on 63 verified user reviews via Agoda. 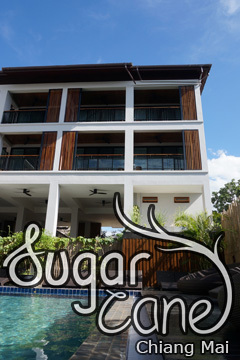 Sri Ping Resort is conveniently located in the popular Hang Dong area. Both business travelers and tourists can enjoy the hotel's facilities and services. Free Wi-Fi in all rooms, 24-hour security, daily housekeeping, luggage storage, Wi-Fi in public areas are just some of the facilities on offer. All rooms are designed and decorated to make guests feel right at home, and some rooms come with internet access Â?Ã?Ã? wireless, non smoking rooms, air conditioning, balcony terrace, television. Access to the hotel's outdoor pool, indoor pool, spa, massage, garden will further enhance your satisfying stay. No matter what your reasons are for visiting Chiang Mai, Sri Ping Resort will make you feel instantly at home. Reception is open from 8:00 am to 5:00 pm. Guests arriving outside these hours are requested to contact the property directly prior to arrival so alternative arrangements can be made. Sri Ping Resort - Chiang Mai classifies itself as a 3 star hotel.